Christians around the world celebrated the feast of Pentecost in the beginning of June, and for most, after the Easter season, it is now back to “Ordinary Time.” But for those Christians who call themselves Pentecostals, there is no “ordinary time”. Most Pentecostal histories hold that the Pentecostal movement stems from the ministry of Charles Parham around 1900-1901 in the U.S. He first linked baptism in the Holy Spirit with glossolalia or speaking in tongues. 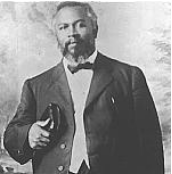 The movement’s explosion beyond a local Holiness revival in Kansas and Texas resulted from the multiracial Azusa St revival in Los Angeles, California, from 1906-1909 under the African American pastor William J. Seymour. The Azusa street revival is a fascinating story. In 1906, William J. Seymour, a black pastor from Louisiana, son of a slave, journeyed by train from Houston to Los Angeles, only to be locked out of the church that sent for him. He turned to prayer and God’s answer was what has come to be known as the Azusa Street Revival. Homeless, Seymour was offered hospitality in a Los Angeles couple’s home. He increased his prayer time to seven hours a day. His hosts invited him to hold a prayer meeting at their home. To those who came, he proposed a ten day fast. One evening, after singing and lots of prayer, Seymour preached to them on the coming of the Spirit at Pentecost, an event in which all present were “filled with the Holy Spirit” (Acts 2:4). As the story is told in a documentary film on the Azusa Street Revival, one of the women at the meeting went to the piano and started to play and sing in the Spirit, though she had never learned to play the piano. Several other believers were knocked to the ground by the Holy Spirit. When the faithful moved outdoors to the front porch, praising God, a crowd gathered. For three days and nights the prayer group worshipped God continually. The crowd of others gathering with them to pray was so large it caused the front porch of the house to collapse. They looked for a larger space and found a building at 312 Azusa St. The ongoing revival at the Azusa St location caused such a commotion that the LA Times newspaper sent a reporter who wrote “meetings are held in a tumbledown shack on Azusa Street. People claimed to have the gift of tongues and to comprehend the babble.” From the outside, it looked like confusion. No one had ever seen anything like this in modern times. Shortly after, San Francisco was hit by an earthquake, with some aftershocks in Los Angeles. The fear of the people that LA would be next doubled the crowd size and each day there were 800 praying inside and 500 outside. Services began early in the evening and lasted until late at night. Three times a day, seven days a week for three years the services went on. The place was never empty. There were no collections. No church or organization was behind the meetings nor any publicity posted. Many lives were changed at Asuza and thousands experienced “the baptism of the Holy Spirit”. Missionaries went out to Oregon, California, Ohio, Illinois, the southern U.S., South Africa, and Chile. Within 2 years of the Azusa Street outbreak, the Pentecostal movement had centers throughout the U.S., in many northern European countries, in India and China, and in west and South Africa. The following years saw its establishment in Latin America, especially in Brazil and Chile. In Latin America today, Pentecostals now account for 80% of non-Catholic Christians. Pentecostalism is theologically and historically close to the charismatic movement, present in the Catholic Church since 1967, and it has significantly influenced that movement. Charismatic is an umbrella term used to describe the belief that the gifts of the Holy Spirit as described in the New Testament are available to contemporary Christians through the filling with or baptism in the Holy Spirit. These spiritual gifts are believed to be manifest in the form of signs, miracles and wonders such as speaking in tongues, prophecy, healing, and discernment of spirits. Adherents of these beliefs are often called “charismatics.” They may be found in any denomination of Christians today. Pentecostalism claims more than 250 million adherents worldwide and is the fastest growing confessional family within Christendom. When charismatics are included with Pentecostals, the number increases to nearly a quarter of the world’s two billion Christians. The Spirit’s outpouring at Pentecost is an on-going reality.